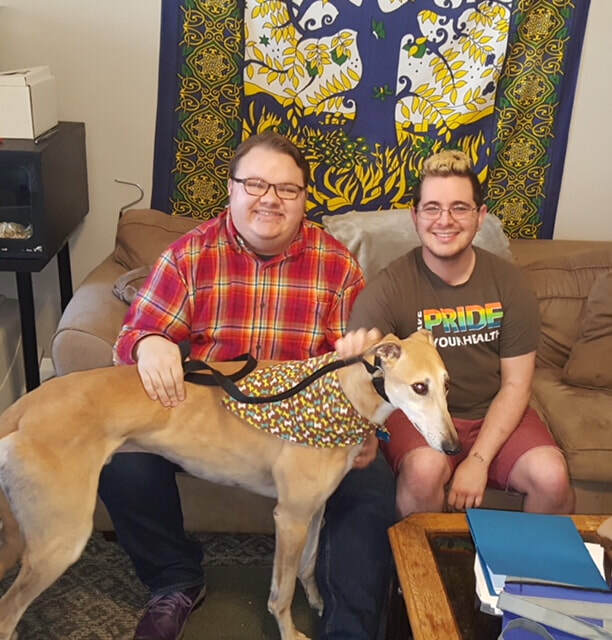 Kaeden & Will who live in Bellevue, KY, has wanted to adopt a greyhound for several years now. The time was right so they applied and fell in love with Moon River. They decided that his new name will be Cinnamon! He will have two cat room mates, Ginger and Mr. Jay who greeted him just fine. He is a perfect fit for this family and will be loved and cared for like he deserves.